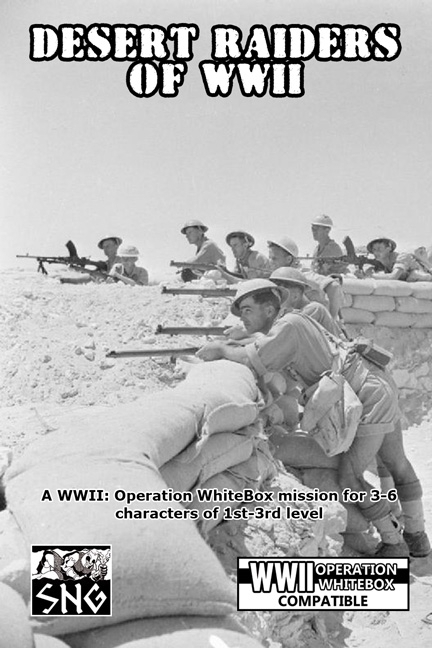 DESERT RAIDERS OF WWII is a collection of three (3) support missions designed for WWII: Operation WhiteBox™. 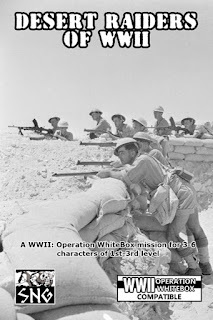 Join the SAS and the LRDG and take part in historic raids against the Germans during the North Africa Campaign! RAID ON LUFWAFFE-32: Sneak into a Luftwaffe airfield at night and blow up as many planes as you can! PANZERS IN THE SAND: Locate the enemy tank column before it can reinforce the Germans attacking El Alamein! AFRIKA KORPS IN KAOS: The German general wants to secretly meet and negotiate a surrender. Could this be the end of the fighting in North Africa or is it only a diabolical trap! Desert Raiders of WWII is designed for 3-6 characters of 1st-3rd level. 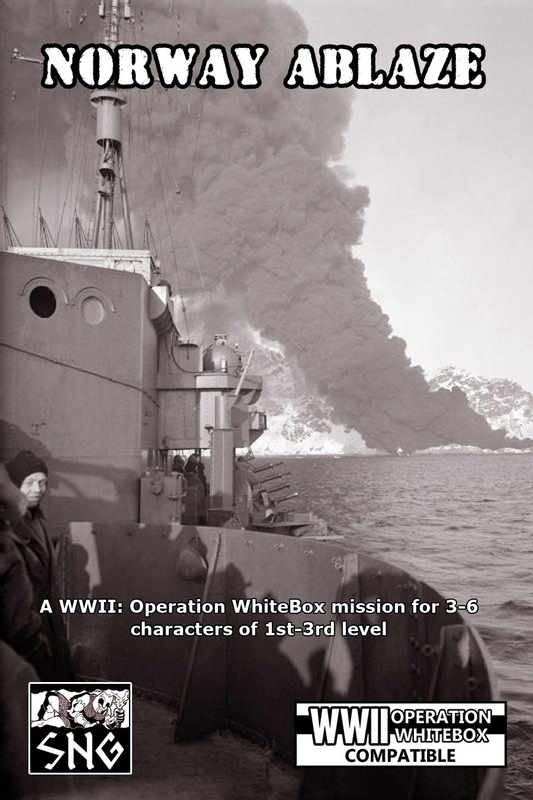 Norway Ablaze is a mission pack for WWII: Operation WhiteBox. 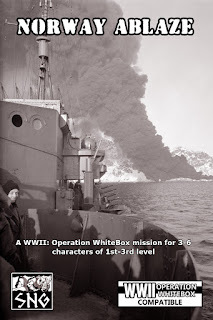 It contains three (3) short missions that loosely emulate the events of Operation Claymore---a series of British commando raids on the Lofoten Islands of Norway. RELAY STATION RAID: Destroy the relay station so the Germans can't call in reinforcements or air support from the Luftwaffe! FISH OIL FRACAS: Infiltrate a fish oil refinery and destroy its stores of fish oil to keep the Nazis from manufacturing high explosives! BUNKER ASSAULT: Take out the German bunker whose guns are keeping the commandos from escaping the island! Norway Ablaze is designed for 3-6 characters of 1st-3rd level. Thanks for the mention! A Normandy mission pack should be available some time this week. Roll up a character and storm that beach!